Top of ‘Three Of The Best’ again for 2017! Last year we were proud to be ranked in the top three garages in Derby and we have done it again in 2017! We like this rating as unlike a lot of other ‘ranking sites’ we have no input, all the votes come from you, our customers. Three of the best use the history, feedback, cost and reviews of companies across Derby to compile their list and work out the best business in each sector, restaurants, therapists, garages etc. We would like to say a huge Thank You to you, our customers, for making this possible. 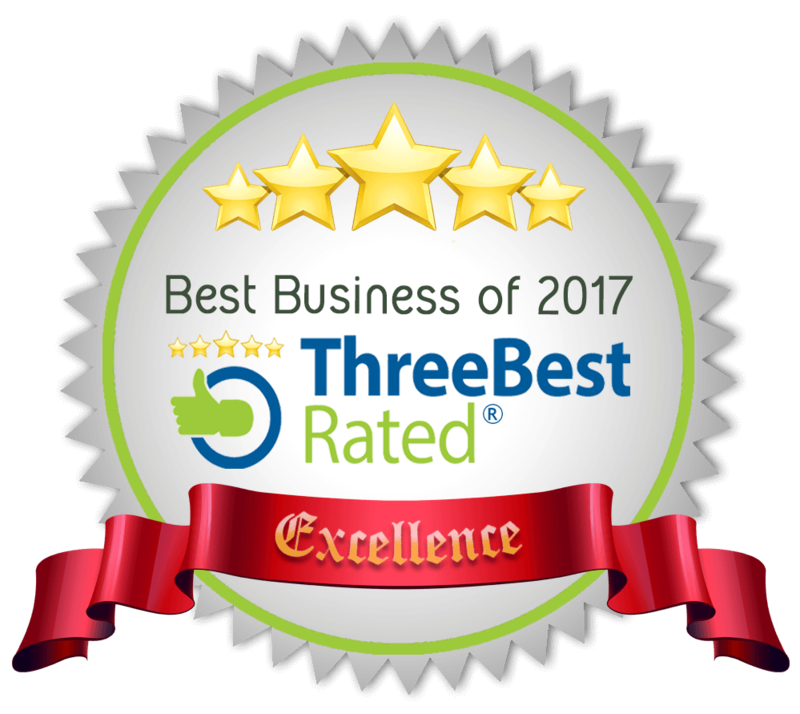 Please click the link to see us on Three Of The Best’s website. This entry was posted in Uncategorized on September 18, 2017 by Aaron Harding. Ford Transit Leaking Rotten Sump. A Ford Transit came into us this week and its owner asked us to have a look at it as it was leaking oil BADLY! After putting it on our ramp we could see that the engine sump had rotted that badly it was leaking like a sieve, luckily we had caught it before it had leaked to much oil and starved the engine. 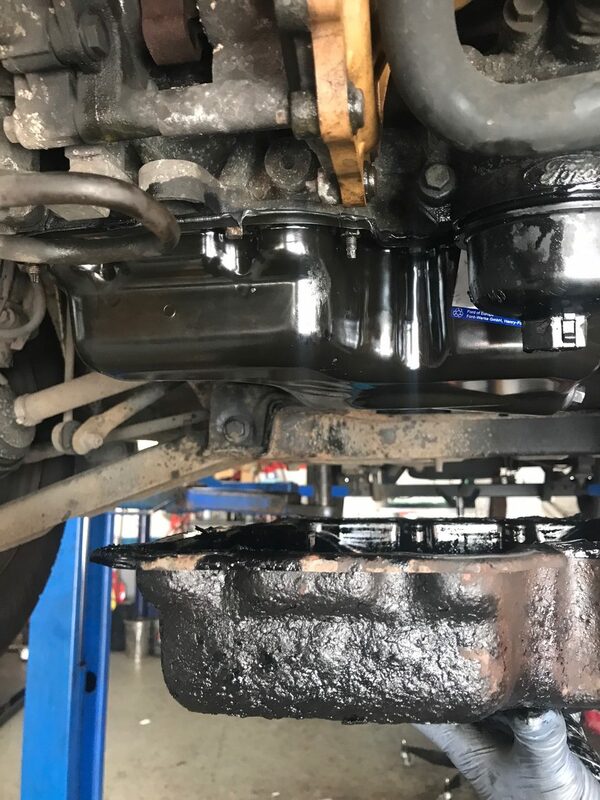 We ordered a new sump from our suppliers and got on with fitting it, once fitted we gave the engine a quick wash off and road tested it to make sure there were no issues. This entry was posted in Uncategorized on September 16, 2017 by Aaron Harding. Seat Ibiza 1.2 Timing Chain Failure. 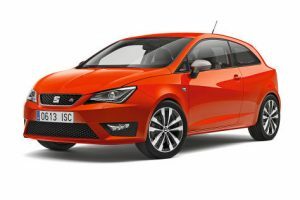 This little Seat Ibiza came into the garage with a very noisy and poor running engine, the customer told us that the engine had been noisy for a while but the poor running just happened all of a sudden! 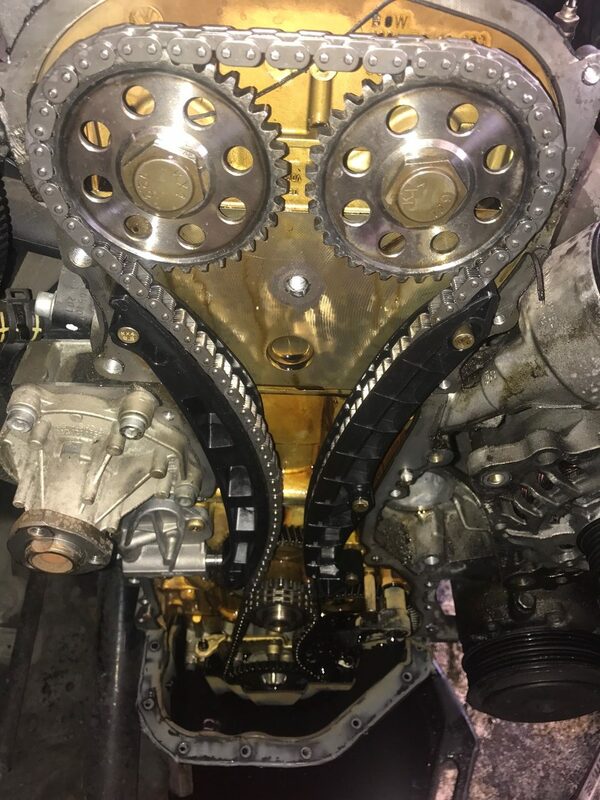 After an inspection of the engine and a full Diagnostic Code Read we came to the conclusion that the timing chain had slipped and we would need to partially strip the engine and check for damage. On stripping the engine we found that the timing chain had slipped one tooth on the crank gear, the reason for this was the chain tensioner was unable to keep its tension due to the amount the timing chain had stretched. We replaced the timing chain, guides and gear set, and using manufacturer specific timing tools to correctly align the crank and cam shafts we were then able to check compressions to see if any other internal damage had been caused. Once we were happy there was no internal damage it was time for the rebuild which included an oil and filter change and anti freeze flush. The little Ibiza was fired up and ran like a dream, after a good road test and some diagnostic tests it was time to hand it back to its owner. 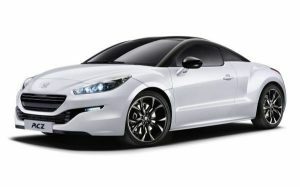 Peugeot RCZ Timing Chain Stretched. 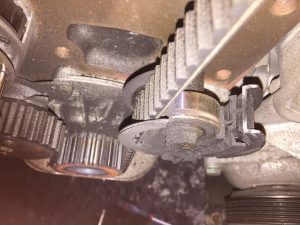 We are starting to see more and more vehicles coming into the garage with engine timing faults caused by stretched timing chains. 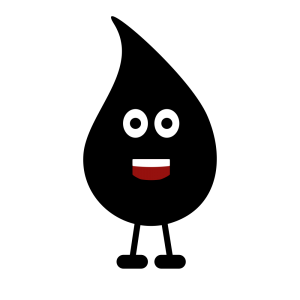 The first thing customers complain of is that their Engine Management Light (EML) comes on and the vehicle goes into limp mode, sometimes they may complain of the chain being noisy or rattling. 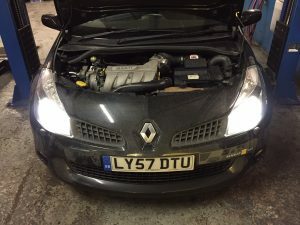 Once the car comes into the garage we plug it into a suitable diagnostic computer and carry out an ‘engine code read’ looking for codes relating to timing faults for example – Incoherence between crank and cam sensors, then check the cars ‘live data’ to check the sensors are working correctly. Next we have to partially strip the engine to be able to physically check the timing using manufacturer specific timing tools. In this instance when we came to fit the timing tools it became very obvious that the timing was indeed out, when we checked the old chain against the replacement chain we could see it had stretched by about 10mm. 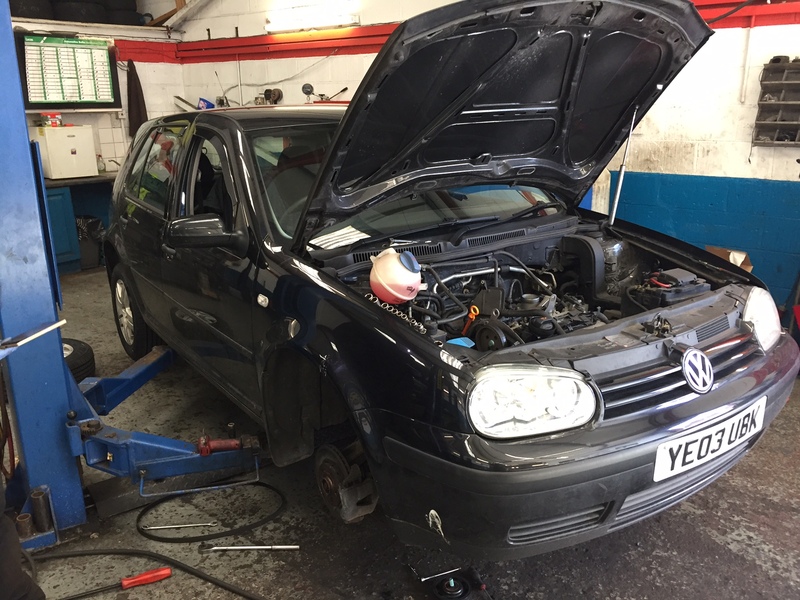 Once we had fitted the new timing chain kit and timed the engine correctly it was just a matter of rebuilding the engine, changing the oil and filter and then testing. 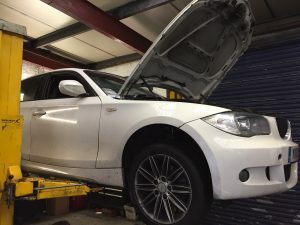 After clearing all the stored codes from the cars ECU it was time to road test the car and carry out a few final checks, once we were completely happy it was time to hand the car back to the customer. This entry was posted in Uncategorized on September 13, 2017 by Aaron Harding. Volkswagen Golf near death experience. 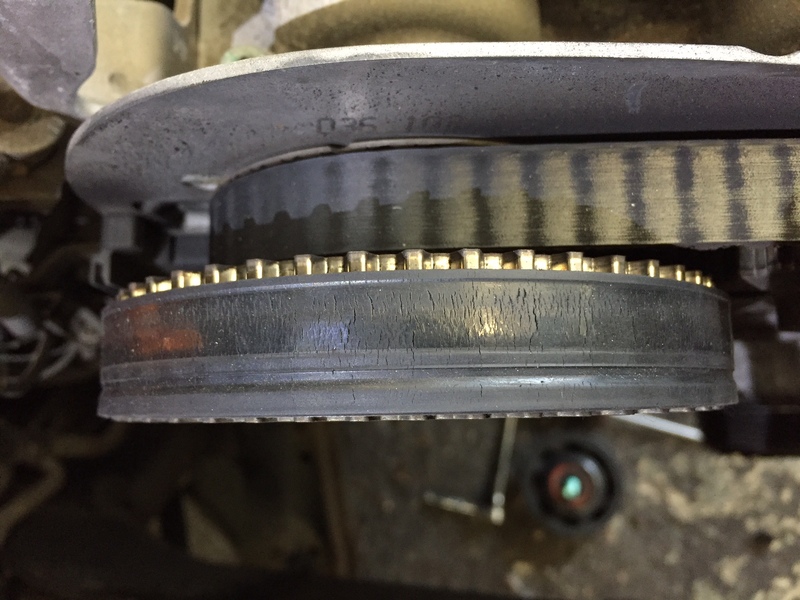 This new customer called us for an estimate as he had recently purchased a Volkswagen Golf and he didn’t know the timing belt history. We quoted him on a new timing belt kit and water pump (the water pump is driven by the timing belt) which he accepted and booked in with us. When we stripped the timing belt covers off we were surprised by what we found. Firstly was the condition of the belt as it was heavily perished and also had rub marks on it. 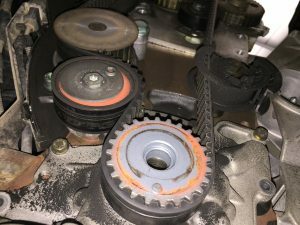 On further investigation we found the lower idler pulley had disintegrated and jammed forcing the timing belt to start wearing through the plastic and potentially leading to a disaster! Luckily it was caught in time and with a new cam belt kit and water pump the Volkswagen Golf will now complete many more miles and Dave did advise the customer to buy a lottery ticket. 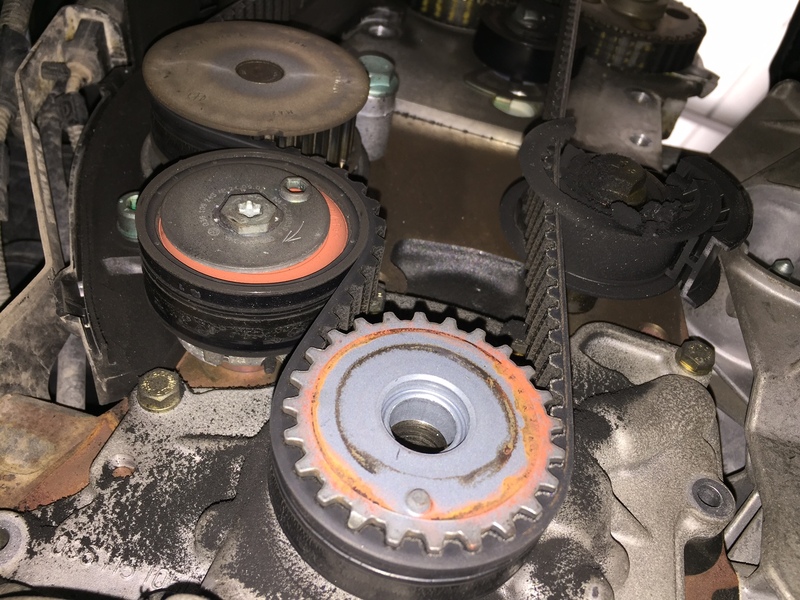 Many car have timing belts and some have timing chains, give us a call with your registration and mileage and we will tell you what’s fitted and when its due replacement. Manufacturers employ various schedules and measures for timing belt replacement give us a call and we can tell you. There are two types of engine timing configurations: interference, and non-interference. 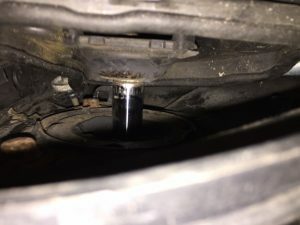 In a non-interference engine, the pistons and valves don’t occupy the same space, so if the timing belt snaps, no valve or cylinder damage occurs. You just pop a new belt on, and the engine should theoretically drive normally but these are very rare on modern engines. Remember we do Gearbox repairs, Clutches, MOT’S, MOT repairs, Car Servicing, Van Servicing, Tracking, Tyres, Diagnostics and all things vehicle related at great prices, Give us a call today for a quote. This entry was posted in Uncategorized on March 22, 2017 by Aaron Harding. BMW 1 Series Brakes Grinding. The customer of this BMW 1 series complained of a grinding noise from their car and rust appearing around the rear wheels and on their paint work. 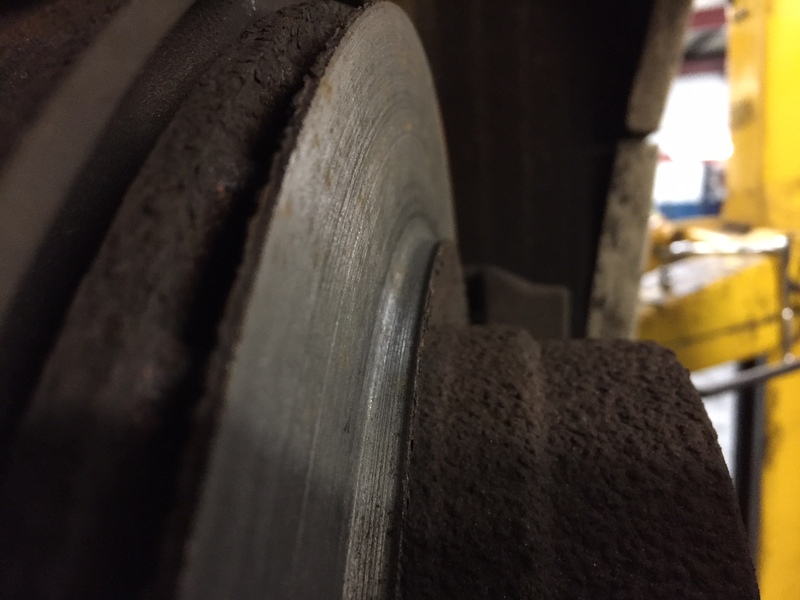 We carried out a full brake check on the vehicle and were surprised at what we found, the rear brake pads had worn down to the metal back plate and then worn into the brake disc so far on the offside rear that it had nearly worn through to the vents of the discs. 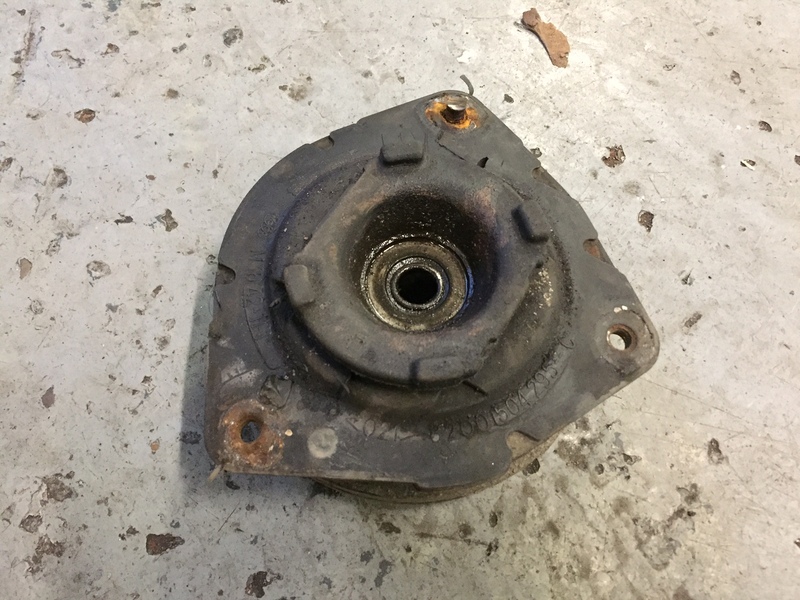 As the nearside rear wasn’t as bad we did further investigation and we found that the offside rear calliper piston had seized causing the fault. We called the customer with the estimate to replace the rear brake discs, brake pads and O/S/R brake calliper which they accepted. This entry was posted in Uncategorized on March 10, 2017 by Aaron Harding. NISSAN GTR R35 ALIGNMENT, TRACKING, GEOMETRY SET UP. 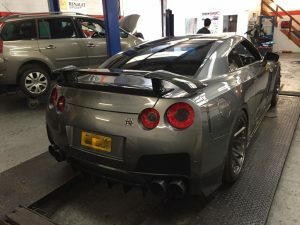 The customer of this lovely Nissan GTR R35 gave us a call, as he wanted a more aggressive geometry setup on his vehicle. 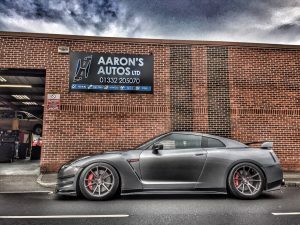 We booked the Nissan GTR in and obtained some fast road / light track use settings, then Aaron got about setting the car up to these optimal settings. 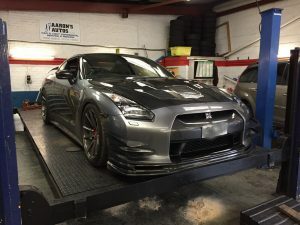 The car had been to another reputable garage (which we cannot name) with a £10,000 Hunter Alignment Machine to be setup, the customer had already mentioned to us that since they had worked on his car the steering wheel was not central and the car didn’t feel right! After a few simple checks and adjustments we managed to get the car handling as it should and with the steering wheel perfectly straight. 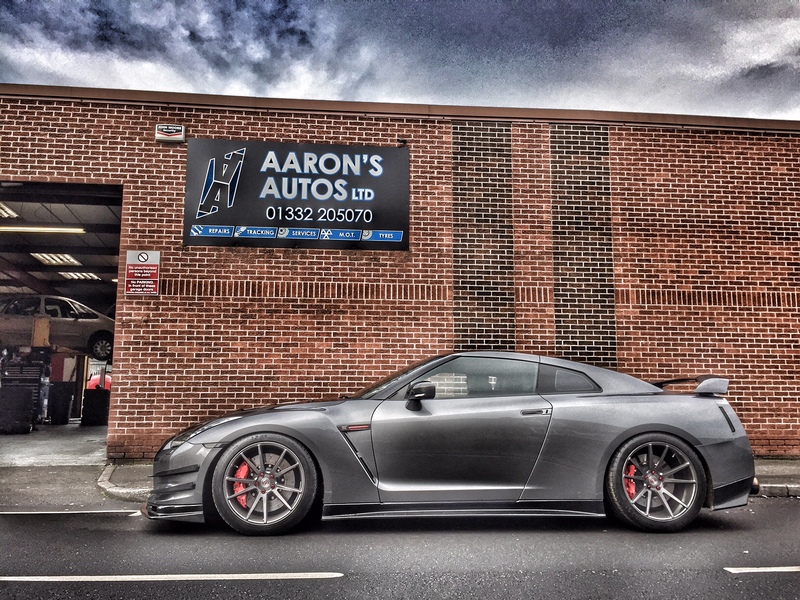 The customer called us the next day to say the Nissan GTR R35 handling was fantastic. Fiat 500 with cooling system leaks. 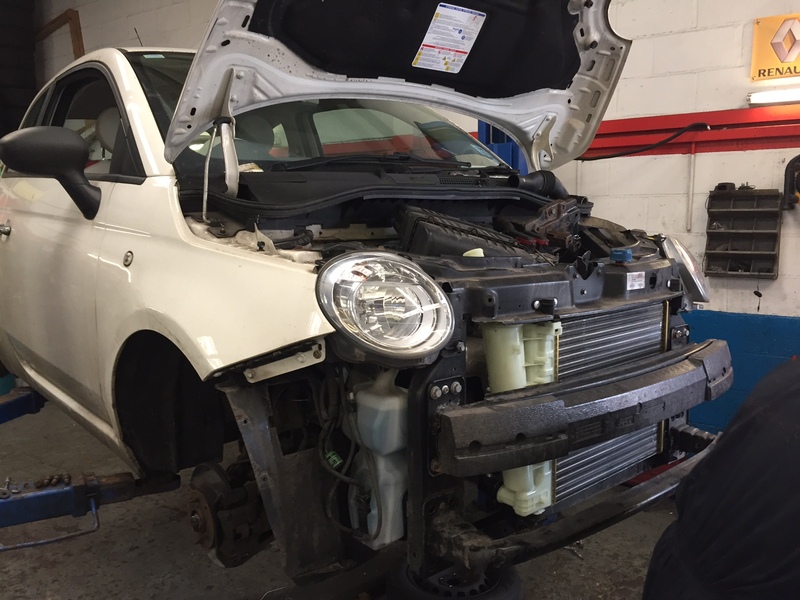 This Fiat 500 came into us for a service and during our inspection it soon became apparent it had issues with its cooling system, the coolant header tank was completely empty and there were signs of a leak coming from the front of the car. 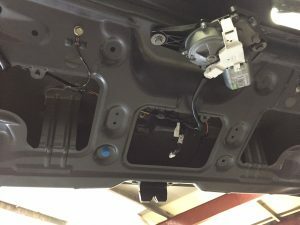 As the cooling system keeps the engine cool when the vehicle is running it was imperative that it works correctly, we pressure tested the Fiat 500’s cooling system and it didn’t have just one leak it had two! We quickly diagnosed the Fiat 500 radiator and thermostat housing we’re both leaking coolant, we contacted the customer with an estimate to complete the work to which they agreed. To remove the Fiat 500 radiator you have to remove the front bumper and the crash bar which were both successfully removed without any issues and the new radiator was installed. 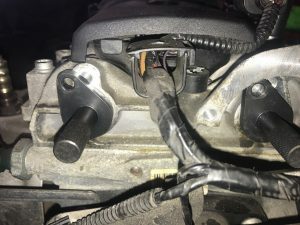 We also replaced the leaking thermostat housing with a brand new updated part (Fiat know about this common fault) so the fault will not happen again. 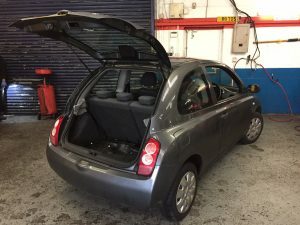 We completed the repairs to the cooling system and finished the service leaving our customer happy knowing her Fiat 500 was back in tiptop condition. 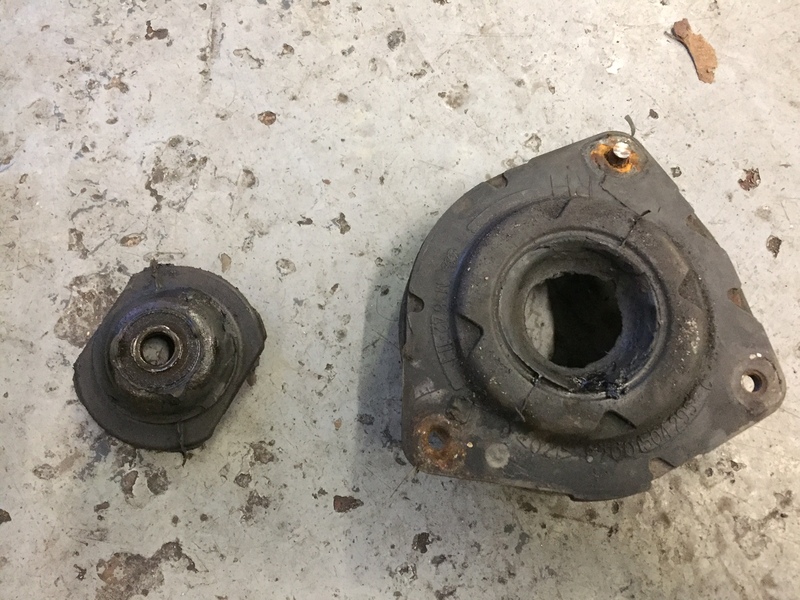 The owner of this Renault Clio 197 popped in last week on the off chance we could have a quick look at his car as it had a knock, the customer suspected the lower swivel joints were at fault. Dave took The Renault Clio 197 on road test and it soon became apparent to him that it was more than a ball joint fault and returned it to the workshop for further investigation. On opening the bonnet it was noticed that the driver’s side scuttle panel was sitting proud, on further investigation we found that the Renault Clio 197 top mount had failed letting the shock absorber shaft come through with only the scuttle panel and the bonnet stopping the suspension totally collapsing! Unfortunately we could not source the part same day so we advised the customer to leave it with us due to the severity of the fault, which he did. After giving the car a full suspension check we replaced the top mount and reset the tracking and after test driving to make sure the Renault Clio 197 suspension was in optimum condition we handed it back to a very happy customer. This entry was posted in Uncategorized on February 2, 2017 by Aaron Harding. NISSAN MICRA BOOT OPENING WHEN DRIVING. Our customer called us as there Nissan Micra boot lid kept deciding to open whilst driving but the outer handle was also not working which they couldn’t understand. We took the Nissan Micra into the workshop and had to gain access to the inner workings of the Nissan Micra boot lid as it would not open even for ‘Aaron’s hand of God’. After some testing we found the outer boot switch was at fault and quickly sourced one from our parts supplier and replaced it. After the Nissan Micra outer boot switch was replaced it worked as it should with no more uncontrollable urges to open whilst the customer was driving their car leaving another happy Aarons Autos LTD customer. This entry was posted in Uncategorized on January 23, 2017 by Aaron Harding.